When you've made your way to the top, the journey down can be as chilling as it is thrilling; ensure all you've got to think about is the journey and not your water-logged jacket with the Patagonia Descensionist Jacket. Built for the backcountry traveler that values breathability over all else, the Descensionist uses a special knit backer for amazing breathability on the skin track. 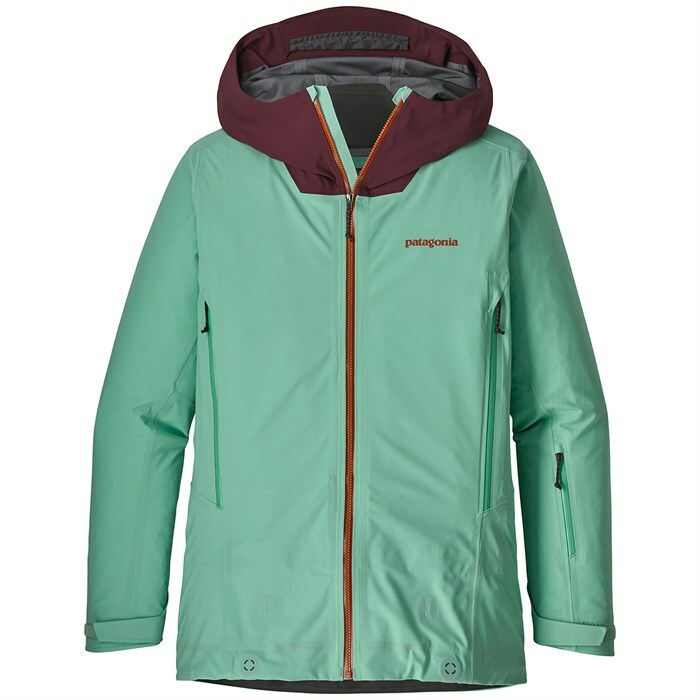 Built with simple, clean lines and ample room for layering, the Patagonia Descensionist Jacket is an incredibly comfortable, versatile jacket for all your cold weather adventures! Cohaesive® Cord-Lock System  Embeds cord locks in hood and hem for quick and easy adjustment. Watertight, Coated Zippers  Slim zip installation reduces bulk and weight. Vislon® Center-Front and Chest Pocket Zips  Durable, watertight and easy to use. Adjustable Powder Skirt  Can be cinched for a tight seal or lies flat when not in use. A webbing loop at center back connects to any Patagonia® Snow pants.